Miroslavo’s Modern Drawings for Sale. Ideal for your Walls. Drawing is an important part of Miroslavo’s art. It enables his spontaneity to shine and manifest since it does not need a long preparation time like creating a painting does. It offers a different kind of flow thanks to the brush-like nibs of his ink markers. Naturally, Miroslavo is drawn to that medium and it has its place in his online art gallery. 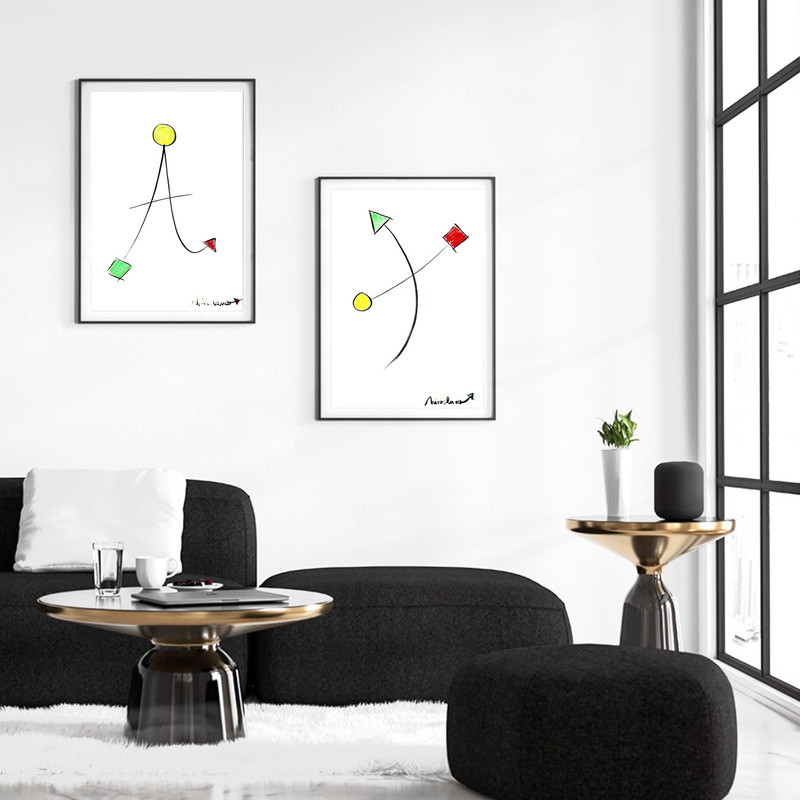 The drawings are marked by his signature shapes to form original visuals that can fill its environment with inspiration and emotion. Due to the brittle nature of the thin marker paper his drawings use, Miroslavo recommends framing the artwork under a glass or acrylic sheet for preservation purposes.